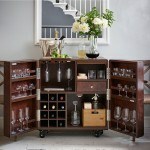 Material: Wooden frame with Leather Wrap, Antique brass handles. 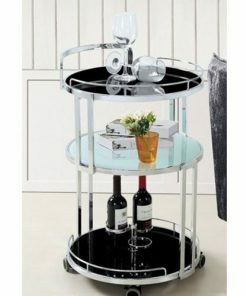 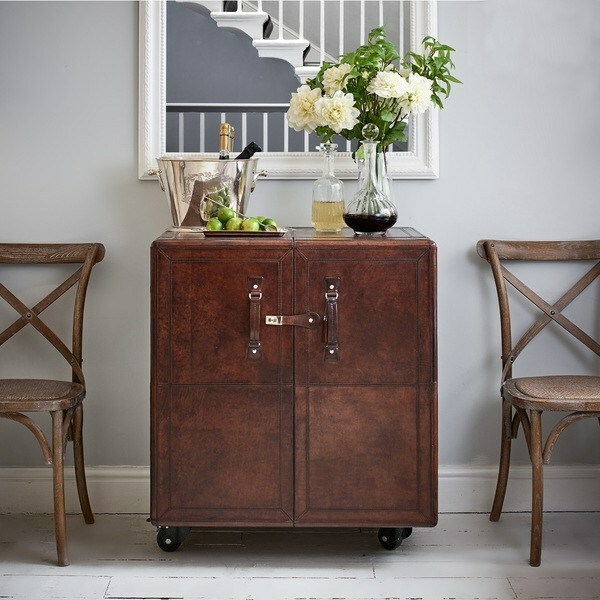 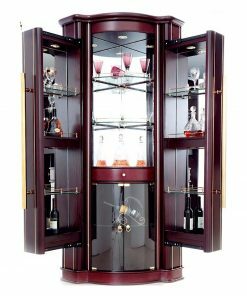 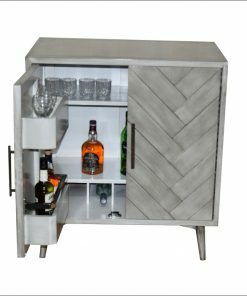 Luxury leather bar cabinet is on wheels for mobility as it travels from cocktail hour to the dinner party. 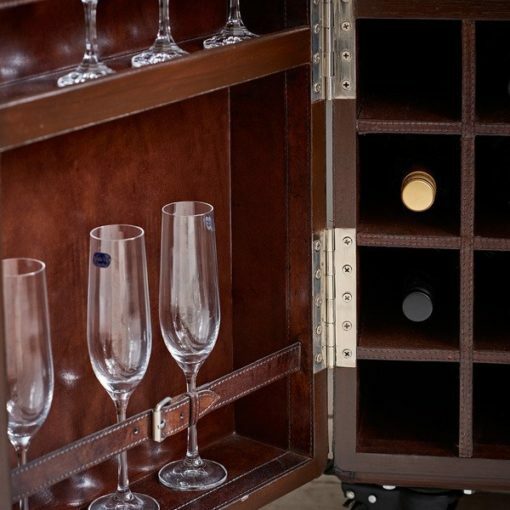 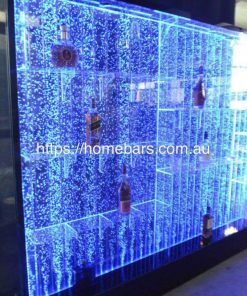 The two doors open to reveal storage capacity for a full bar, from glassware to liquor bottles to tools for opening, measuring, and mixing drinks. 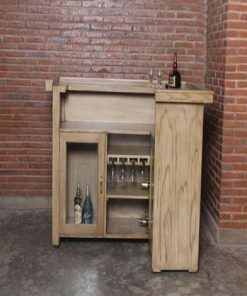 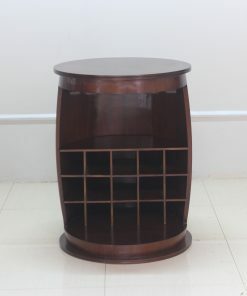 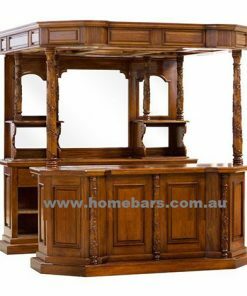 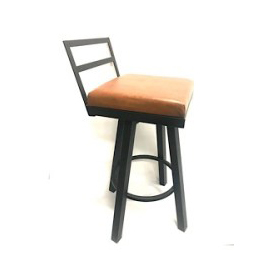 It can even be used as a replacement for a sideboard in a smaller or more casual dining room. 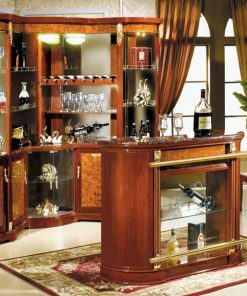 No assembly required, open the box and enjoy top of the range perfect liquor cabinet for any room.